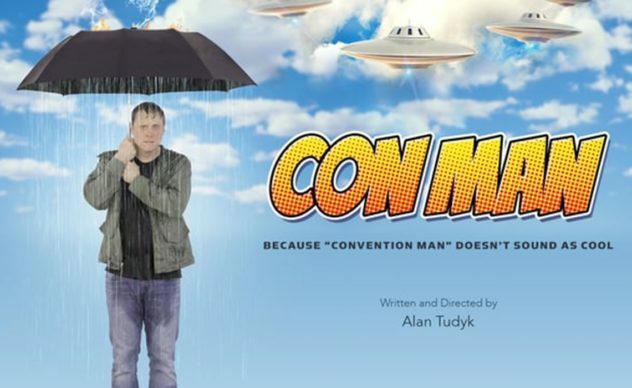 Hello Frequent Flyers and welcome aboard our 51st episode, Con Man. Flyers, we know you used to be big deals. You coulda been contenders! But now, now you’re flying economy with the rest of the schmoes in their bargain basement Jon Snow costumes. On the way to a comic con. We get it. You’re back is bad, and no one really lets you be who you want to be, which is certainly not an awesome pilot from a rad sci-fishow cancelled before its time. We know, flyers, that you just need some Serenity. Well too bad, it’s expo weekend, enjoy hell.